Chinese artist Ai Weiwei will begin his teaching activities as Einstein Visiting Professor at the Berlin University of the Arts (UdK) in the winter semester of 2015-16. An inaugural event will take place on 1st November 2015, at 5:00 p.m. At the event, titled “(teaching) ART,” Prof. Ai Weiwei will speak with other lecturers from UdK Berlin about art and the art of teaching art. “We at Berlin University of the Arts are very happy to welcome Ai Weiwei to our institution this semester. There were good reasons to invite him to UdK Berlin several years ago. Now, we finally had the chance to do so, and from our first conversations, I have high expectations for his work with our students,” said Prof. Martin Rennert, president of the UdK Berlin, at today's press conference. 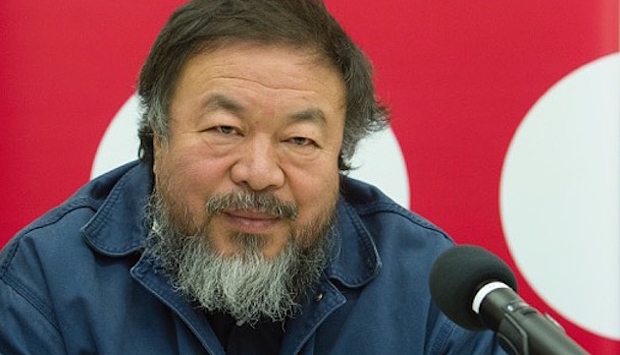 The initiative to appoint Ai Weiwei as lecturer started in December 2010. In April 2011, the artist was detained by the Chinese government. Just a few days later, the Einstein Foundation Berlin approved the UdK’s application to establish a visiting professorship for Ai Weiwei. After his travel restrictions were lifted at the end of July 2015, Ai Weiwei contacted the Berlin University of the Arts. In August 2015, he was able to have his first personal conversations with the University’s president Prof. Martin Rennert. Due to extraordinary efforts of all the people and institutions involved, the Einstein Visiting Professorship, which will last for three years, could begin as early as this winter semester. At the inaugural event on 1st November 2015, Prof. Ai will discuss questions of art and the teaching of art with the following colleagues from UdK Berlin on stage: Prof. Anna Anders, video artist; Prof. Dr. Thomas Düllo, cultural studies; Prof. Nik Haffner, contemporary dance and choreography; and Prof. Dr. Karlheinz Lüdeking, art historian. Tickets available to the public ran out within two days. The event will be broadcasted via live video stream on www.livestream.udk-berlin.de.